Even for non-celebrities, most first kisses are totally awkward. Now imagine being an actor whose first kiss was while filming! Not only are tons of crew members watching when it happens, but then the kiss is broadcasted on screens around the world. That certainly wouldn't be most people's ideal first kiss scenario. Teen actors who had their first kiss on film are the real heroes of the dating world. These celebs were unfortunately robbed of any sort of kissing romance, because on-screen kisses are more about hitting your mark than feeling a spark. If there is one silver lining to having your first kiss caught on tape, it's that you can always go back and watch it again. Thank god for these brave teen actors who let us witness that very special (or awkward) life moment of theirs from the comfort of our homes, or at our local movie theaters. So behold, the actors who had both their first real-life and on-screen kisses while filming! Young and innocent Katie had her first kiss at just 18 years old! It happened on Dawson’s Creek, and the lip-lock was with a violinist named Anderson. Saoirse was just 10 years old when her lips got busy for the first time. She was filming I Could Never Be Your Woman. Originally the kiss was supposed to last for 10 seconds, but she negotiated with the director to make it just five seconds long. It may have been awkward then, but the Brooklyn lead seems to be much more comfortable with her latest on-screen smooches. Cory and Topanga FOREVER! 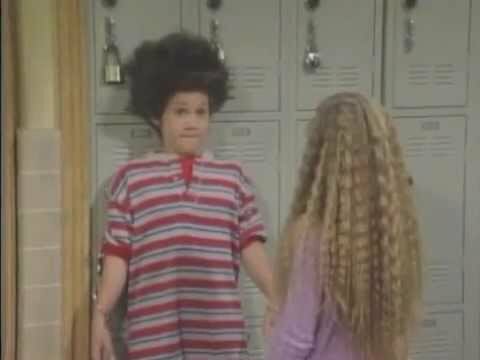 Well, at least Ben’s first kiss can live in our memories forever, since it happened on set of Boy Meets World and was shared with his lovely co-star Danielle Fishel.